Your cat is completely adorable and can be such good company when she wants to be. But when she’s feeling bored or has too much pent up energy–look out! That’s when the fur starts to fly. Your furniture ends up scratched, and you have to worry about your pet getting hurt as she dashes all around the house at top speeds. 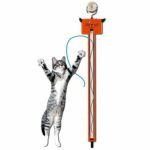 On those occasions, you can keep your cat occupied and give your furniture a break with the help of the Cat Activity Center! 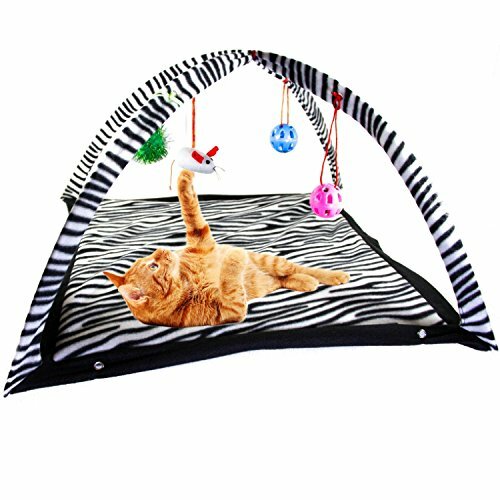 At 22 inches by 23 inches by 13 inches in size, the arched zebra tent won’t take up much space in your home, and it’s ideally proportioned for big cats and tiny kittens alike. 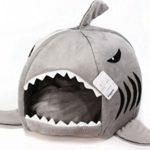 When not in use, the hanging cat toy tent can fold flat for convenient storage anywhere you desire.